Seriousness is a sin! Always mentioned as a quality that makes a person more attractive to be with is the ability to laugh. 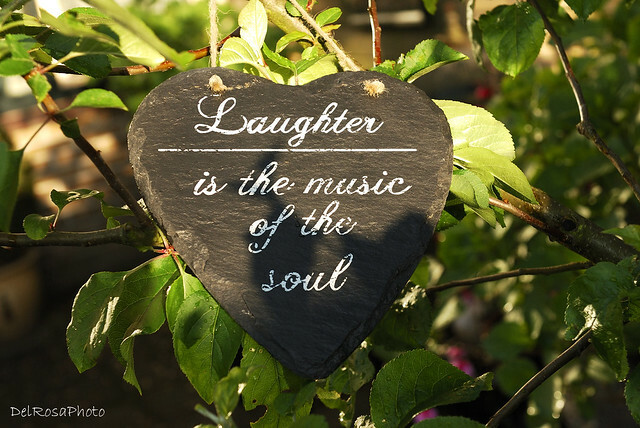 A little laughter clears the mind, and in a sense is meditative. Studies find that people have more comfort with people who are open to being ‘funny’. Turning lightness into any situation is a function of using a little humor to break up seriousness. Tenseness or stress breaks when releasing into warmness with loving humor, playfulness, and anything non serious. Seriousness is a disease that prevents a lightness of being. Life presents constant opportunities to make others feel comfort with that which creates a smile or a little laughter. There are few moments when some lightness of spirit and enjoyment are not an antidote to somber humorlessness. Too often we become sedated to our habits of sternness that at time resemble going to a funeral. Peppering daily connections with light, sensitive kernels of humor makes life more joyful. The art of humor begins with a lightness of heart. The world is filled with seriousness as people walk around locked in their worries and general negativities, but unconsciously are always open to a careful ‘humor hug’. We can never know what calamities, and and or challenges others are carrying on their shoulders while meeting little consolation on their way through the day. Keeping humor ready to use when meeting any form of tenseness from anger to despair is a way of giving that is free to both. People seem to go through life ‘sedated’ in a trance of repeating the past, and the woes of their perception of the future everywhere they go. Negatives seem to accumulate in the mind with little release that small amounts of lovingness from another could help, and that might just be humor and laughter. No where in the ‘holy books’ is laughter mentioned. Holy books are all about seriousness while part of the secret to enjoying life is joyfulness, and the easiness of humor. Fix you awareness on where you are too serious when a little lightness could change the whole mood. Take time out twice a day for 5-10 minutes for laughing out loud over a 30 day period. You will begin to experience being a more welcome person with others, as well as having a reduction of whatever stresses you may have. Love happens best in an environment of playfulness where the ‘weight’ of the past and future is replaced by staying in the moment with an open heart.